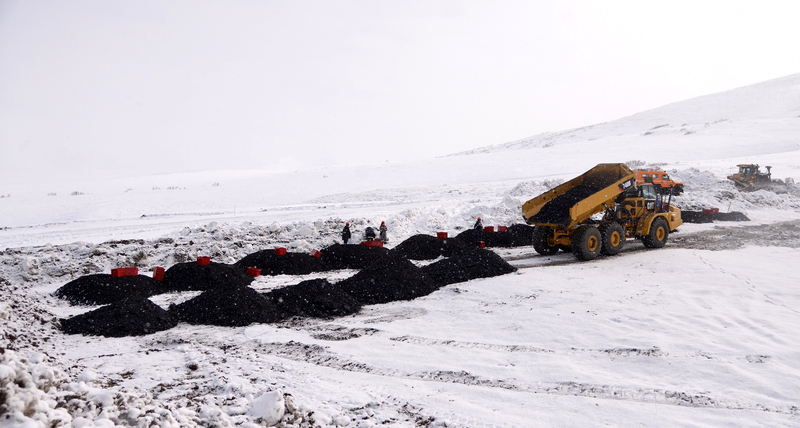 The Bering Coal Basin consists of two Licences. Amaam North (including Project F) and Amaam, collectively the “Amaam Coal Project”. 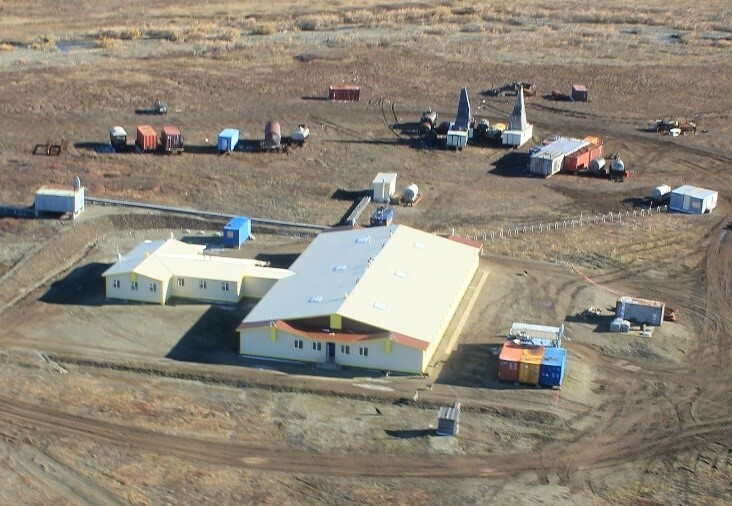 The Amaam Coal Project is located in the Beringovsky Basin, in the Chukotka Autonomous Okrug (“CAO”) in the Russian Far East, some 40km to the south of recent coal mining operations of Nagornaya and its supporting town of Beringovsky. The Amaam North and Amaam deposits are located within separate structural blocks of the Bering Coal Basin. The Bering Coal Basin covers an area of approximately 7,500km2 and extends from north of Beringovsky (Nargornaya mine) to the southern coast line. The primary coal host sequences at Amaam North and Amaam are the Middle Chukchi Formation of Palaeogene Age and the Koryak Formation of Cretaceous Age. 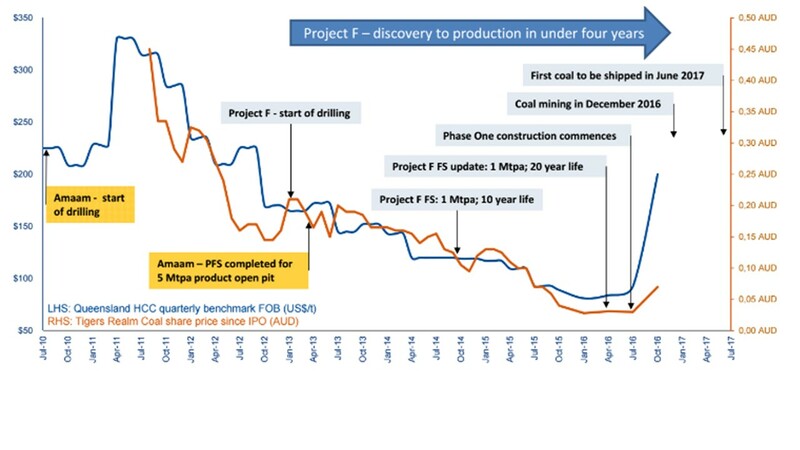 Stage 1 has commenced and comprises the development of Project F in two phases, to a +1.0 Mtpa semi-hard coking coal operation, seaborne sales shipped from the Company owned Beringovsky Port. Phase Two: up to 1.0+ Mtpa after the construction of a coal handling and processing plant (“CHPP”), in addition to infrastructure, port and mining fleet upgrades. TIG owns an 100% interest in Exploration Licence No. AND01203 TP (Levoberezhniy Licence) and the Exploration and Extraction (Mining) Licence, No. AND 15813 TE, covering the initial Project F mine development area. The coal formation at Amaam North is synclinal in structure with longitudinal and cross cutting faults, and shallow to moderate dips. TIG has estimated an Exploration Target of up to 370 Mt and has completed drilling programs which have a delineated JORC Resource at Project F, of 110.6 Mt. The Resource includes 22 Mt of Measured (16 Mt of which is classified as Reserves, including 5.5 Mt thermal coal), 55.7 Mt of Indicated (coking) and 32.9 Mt of Inferred. A Feasibility Study was initially completed in October 2014. 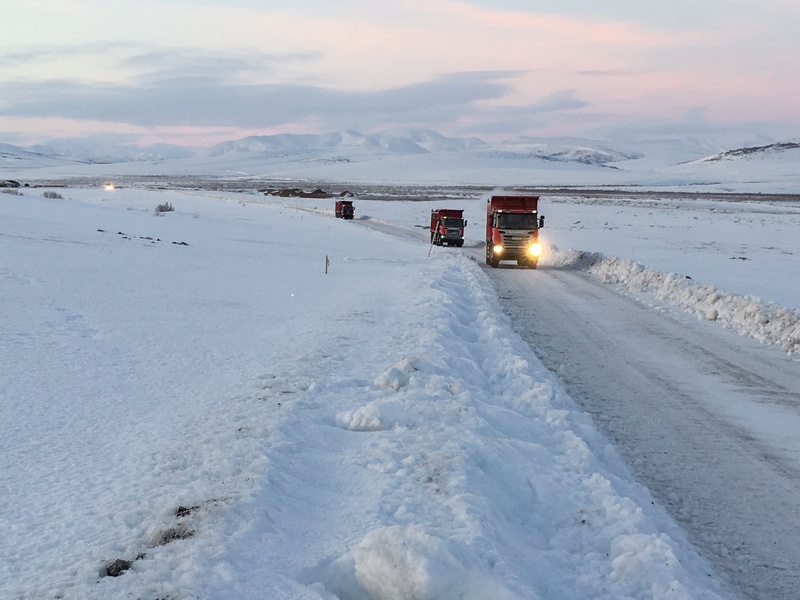 After further drilling defined a substantive increase in the Resource, the Feasibility Study was updated and the results released in April 2016. The Feasibility Study demonstrated Project F as having potentially very attractive economics as an early starter, low capex, low opex project. 1 Mtpa Base Case is a low risk “intermediate” stage. All 1 Mtpa infrastructure is scalable facilitating easy, low marginal cost of future expansion. 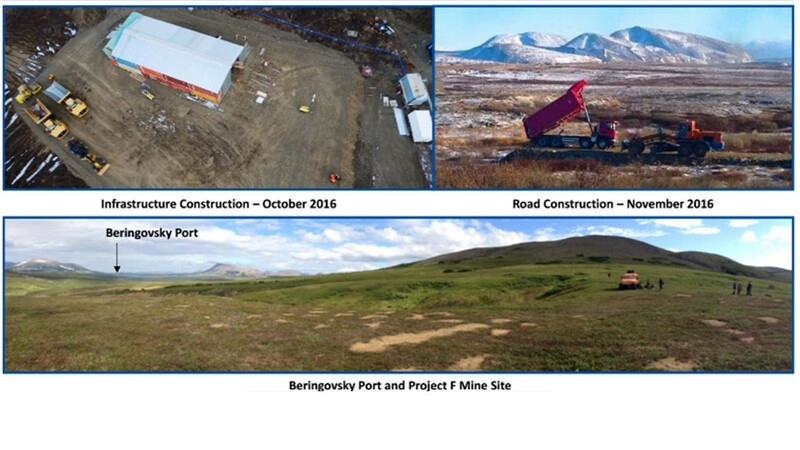 An integral part of the Amaam North logistics chain is the TIG owned Beringovsky Port and Coal Terminal located 35km to the north east of the Amaam North deposit and the Project F mine. The port is fully operational and has historically handled up to 700,000 tonnes of coal per year from the Nagornaya mine and the port will be progressively refurbished and expanded over time to expand capacity to +1Mtpa. TIG owns an 80% interest in Exploration Licence No. AND 01277 TP (formerly AND 13867 TP) (Zapadniy Subsoil Licence) and the Exploration and Extraction (Mining) Licence No. AND 01278 TE (formerly AND 01225 TE). 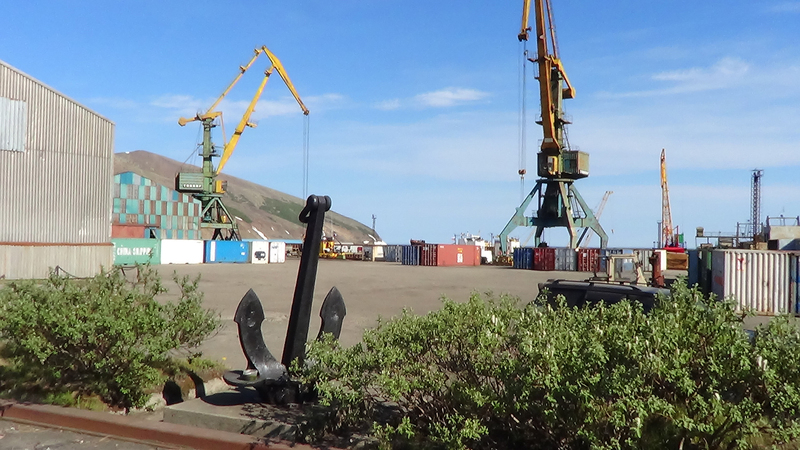 The project area is 30km from the Bering Sea coast. TIG currently holds an 80% interest in the Amaam Tenement. The Amaam tenement is a multi-seam, moderate dipping deposit within a synclinal basin. Coal is in the Middle Chukchi formation (see Amaam Project Plan below), and is divided into four main areas by north-west trending faults. To date, exploration activities have identified that the highest tonnages of coal are within Areas 3 and 4. TIG’s Resource consultant, Resolve Geo Pty Ltd, in the most recent resource estimate, has estimated a total of 521 Mt of Coal Resources at Amaam. The Resources include 3.1 Mt of Measured Resources, 91 Mt of Indicated Resources and 428 Mt of Inferred Resources (JORC 2012). In Area 3, the key area targeted for initial production, total resources increased to 190 Mt with Indicated Resources of 48 Mt and a Measured Resource of 1.1 Mt. 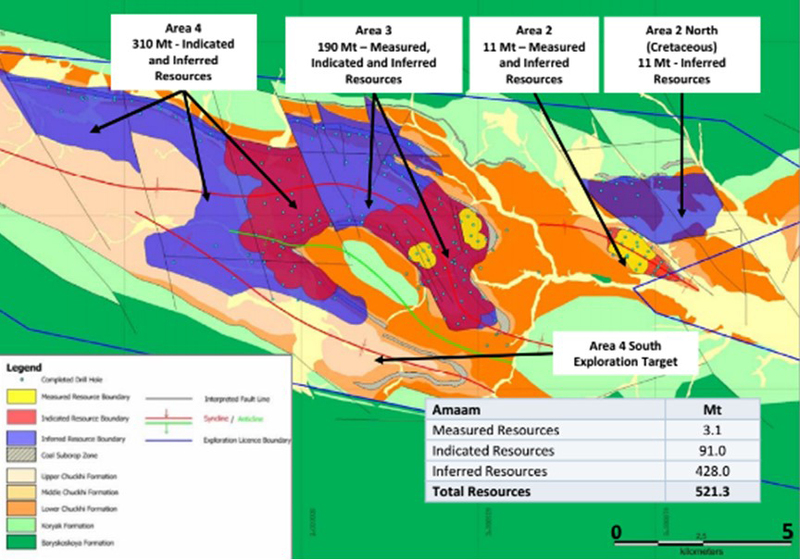 Of the total Resource at Amaam, 425 Mt is in the open pit domain i.e. Resources less than 400m from surface. Between 400m and 800m, the Inferred and Indicated Resource totals 93 Mt, providing very good potential for future underground operations. Underground Resources are limited to seams thicker than 1.2m. This Resource Estimate uses an additional 9,011m of drilling (figure 1) compared to the Resource Estimate reported in February 2014, predominantly in Area 2, the South of Area 4 and in the western extents of Area 4 and Area 3. Resources have been re-estimated for all areas. 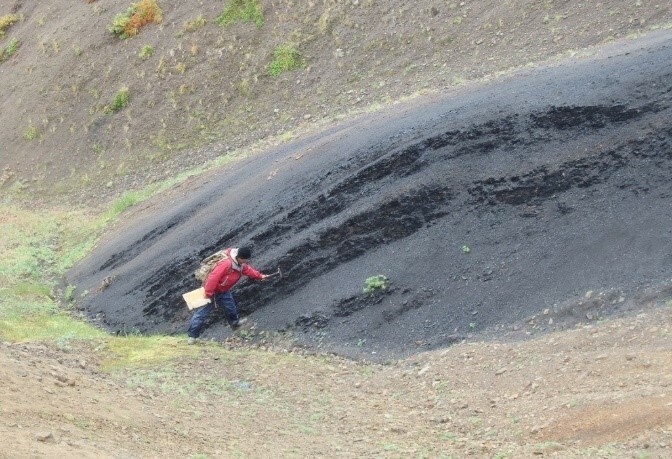 Preliminary analysis of material sourced from Area 3 of the Amaam deposit indicate that the raw coal is described as ASTM rank medium to high volatile coal with an average ash content of approximately 30%. Following a conventional wash process, Amaam coal is expected to exhibit excellent coking qualities with high CSN, high vitrinite and strong fluidity. 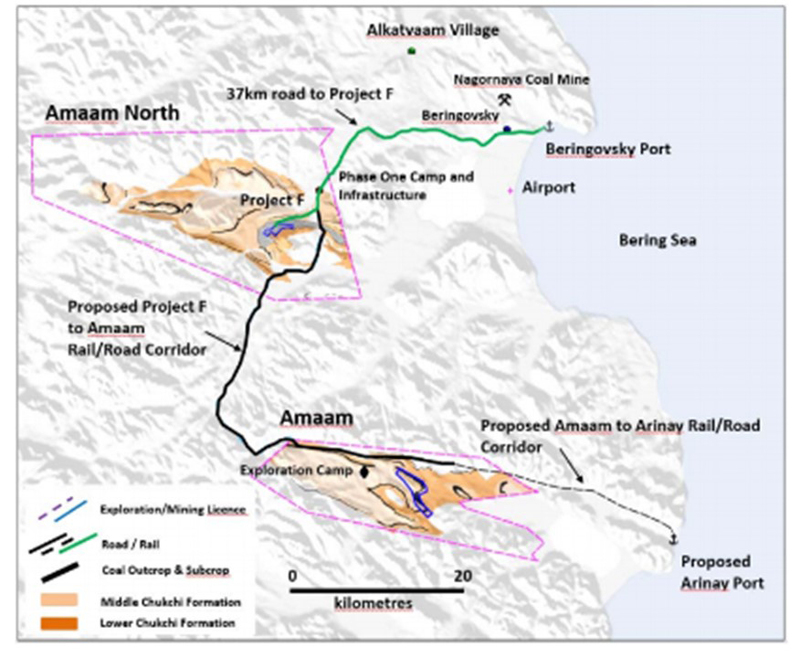 The Amaam tenement is located 30km from a potential deep water port site on the Bering Sea coast which will allow Amaam coals ready access to the seaborne coal trade and key Asian markets. The information presented herein relating to Coal Resources at Amaam North is based on information compiled and modelled by Anna Fardell, Consultant (Resource Geology) of SRK Consulting (Kazakhstan) Ltd, who is a Fellow of the Geological Society of London; and reviewed by Keith Philpott, Corporate Consultant (Coal Geology) of SRK Consulting (UK) Ltd, who is a Fellow and Chartered Geologist of the Geological Society of London. Keith has worked as a geologist and manager in the coal industry for over 40 years and has sufficient experience relevant to the style of mineralisation and type of deposit under consideration and to the activity he is undertaking to qualify as a Competent Person as defined in the 2012 edition of the “Australasian Code for Reporting of Exploration Results. Mineral Resources and Ore Reserves”. Keith Philpott consents to the inclusion herein of the matters based on his information in the form and context in which it appears. The information compiled herein relating to exploration results, exploration targets or Coal Resources at Amaam is based on information provided by TIG and compiled by Neil Biggs, who is a member of the Australasian Institute of Mining and Metallurgy and who is employed by Resolve Coal Pty Ltd, and has sufficient experience which is relevant to the style of mineralization and type of deposit under consideration and to the activity he is undertaking to qualify as a Competent Person as defined in the JORC Code. Neil Biggs consents to the inclusion herein of the matters based on his information in the form and context which it appears. The information in this Presentation relating to the Project F, Amaam North Reserve Estimate is based on information compiled by Maria Joyce, a consultant to the Company and a Competent Person who is a Chartered Engineer of the Australasian Institute of Mining and Metallurgy. Maria Joyce is the head of the technical services division and full‐time employee of MEC Mining Pty Ltd. Maria Joyce has sufficient experience that is relevant to the style of mineralization, type of deposit under consideration and to the activity being undertaken to qualify as a Competent Person as defined in the 2012 Edition of the “Australasian Code for Reporting of Exploration Results, Mineral Resources and Ore Reserves”. Maria Joyce consents to the inclusion herein of the matters based on her information in the form and context in which it appears. According to the commentary accompanying the JORC Code an ‘Inferred Mineral Resource’ is that part of a Mineral Resource for which quantity and grade (or quality) are estimated on the basis of limited geological evidence and sampling. Geological evidence is sufficient to imply but not verify geological and grade (or quality) continuity. It is based on exploration, sampling and testing information gathered through appropriate techniques from locations such as outcrops, trenches, pits, workings and drill holes. An Inferred Mineral Resource has a lower level of confidence than that applying to an Indicated Mineral Resource and must not be converted to an Ore Reserve. It is reasonably expected that the majority of Inferred Mineral Resources could be upgraded to Indicated Mineral Resources with continued exploration. According to the commentary accompanying the JORC Code an ‘Indicated Mineral Resource’ isthat part of a Mineral Resource for which quantity, grade (or quality), densities, shape and physical characteristics are estimated with sufficient confidence to allow the application of modifying factors in sufficient detail to support mine planning and evaluation of the economic viability of the deposit. Geological evidence is derived from adequately detailed and reliable exploration,sampling and testing gathered through appropriate techniques from locations such as outcrops, trenches, pits, workings and drill holes, and is sufficient to assume geological and grade (or quality) continuity between points of observation where data and samples are gathered. According to the commentary accompanying the JORC Code a ‘Measured Mineral Resource’ is that part of a Mineral Resource for which quantity, grade (or quality), densities, shape, and physical characteristics are estimated with confidence sufficient to allow the application of Modifying Factors to support detailed mine planning and final evaluation of the economic viability of the deposit. Geological evidence is derived from detailed and reliable exploration, sampling and testing gathered through appropriate techniques from locations such as outcrops, trenches, pits, workings and drill holes, and is sufficient to confirm geological and grade (or quality) continuity between points of observation where data and samples are gathered. A Measured Mineral Resource has a higher level of confidence than that applying to either an Indicated Mineral Resource or an Inferred Mineral Resource. It may be converted to a Proved Ore Reserve or under certain circumstances to a Probable Ore Reserve. According to the commentary accompanying the JORC Code An Exploration Target is a statement or estimate of the exploration potential of a mineral deposit in a defined geological setting where the statement or estimate, quoted as a range of tonnes and a range of grade (or quality), relates to mineralisation for which there has been insufficient exploration to estimate a Mineral Resource. Any such information relating to an Exploration Target must be expressed so that it cannot be misrepresented or misconstrued as an estimate of a Mineral Resource or Ore Reserve.The terms Resource or Reserve must not be used in this context. According to the commentary accompanying the JORC Code a ‘Reserve’ is the economically mineable part of a Measured and/or Indicated Mineral Resource. It includes diluting materials and allowances for losses which may occur when the material is mined or extracted and is defined by studies at Pre‐Feasibility or Feasibility level as appropriate that include application of Modifying Factors. Such studies demonstrate that at the time of reporting, extraction could reasonably be justified.